September is Texas Hunger Action Month. MARBLE FALLS — Most of us have seen a child’s face light up when their favorite food was served for a meal. But have you seen the face of a child who is hungry or the look on a child’s face when they’ve gone without a meal or two for the day? September is Texas Hunger Action Month, and the Burnet County Hunger Alliance is working to end hunger in communities by coordinating local resources and identifying gaps in services with the goal of three healthy meals a day to anyone in Burnet County who needs them. Summer is a difficult time for children depending on school meals to supplement what is provided at home. Burnet County school districts report approximately 60 percent of their students are eligible to receive free and reduced-priced lunches. Members of the Hunger Alliance partnered with the Marble Falls and Burnet school districts this summer to enhance their efforts to feed children who might not receive three meals a day. “It was fun to be with the kids. I really enjoyed it,” volunteer Kathy Nicholl said. Meals for children were also delivered by volunteers to LACare food pantry in Burnet. The pantry staff served the lunches when children came with their parents. Marble Falls volunteers gathered at an apartment complex, read stories, and led activities while children had lunch on the district’s bus equipped to serve hot meals. In Granite Shoals, the Boys and Girls Club of the Highland Lakes along with Grace Methodist Church and First Baptist Church joined the effort to reach children needing meals during the summer. The Boys and Girls Club provided staff for a half-day program, the school district served meals, and the children had access to the church gyms. This fall, members of the Hunger Alliance are encouraging restaurants to donate leftover food to community kitchens and food pantries. Meats, fresh fruit and vegetables, and dry goods are candidates for donations. Alex Payson, owner of Numinous Coffee Roasters in Marble Falls, is leading the Hunger Alliance’s effort by sharing his experiences with restaurant owners on how to donate food. “Helping the community is just good business, and it creates goodwill toward future customers,” he said. Alex can be reached at alexpayson@gmail.com if you’d like more information to help start your food donation program. 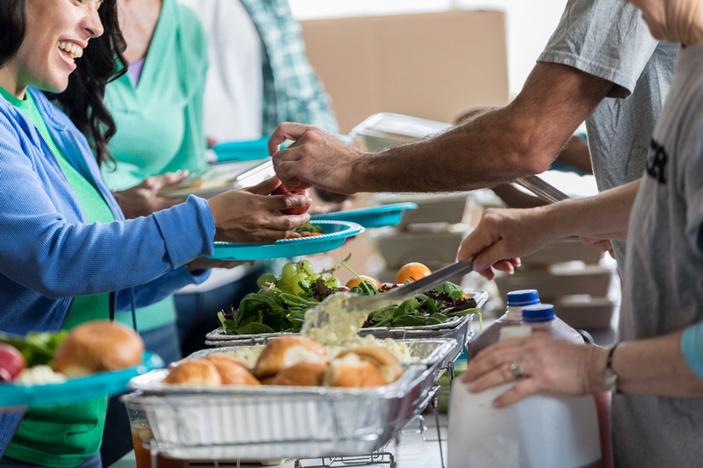 If you’re not a restaurant owner and would like to help end hunger in Burnet County, consider donating food or funds to a local food pantry or community meal program. Volunteers are always needed, and a listing of food pantries and community kitchens are listed on the Burnet County Hunger Alliance website at burnetcountyhungeralliance.org. Organizing a food drive or attending a Hunger Alliance meeting the fourth Wednesday of the month are other ways to get involved. Contact pam@nctv.com for the meeting location and time. Pam Rodgers of the Burnet County Hunger Alliance wrote this article.